The 2019 NDGWA Conference and Annual Meeting was held in Mandan, ND on February 1-2. At the meeting we heard exciting updates on new cold climate cultivars from the NDSU. We learned that you can crop the heck out of Frontenac with minimal affects on the quality of the fruit in a talk and information about the differences between Petite Pearl and Marquette. John Thull, from the University of Minnesota, not only gave us a great talk about how to grow Itasca, he brought samples of the wine for everyone to try! Tami Bredeson, Co-owner of Carlos Creek Winery, provided a very insightful look at the relationships between wineries and growers and discussed best practices for making contracts. Her husband, Kim, spoke about the life of a vineyard and how to manage it from winter through harvest. We learned from Bob Thaden about how interns can be integral in a winery and vineyard operation with a win-win educational experience. Certified Sommelier, Justin Blanford, offered his insight into what consumers are looking for as it relates to our cold climate grapes and led us through a tasting of some local wines. We found out how to prevent flaws in our winemaking and how to measure the alcohol. Overall our lineup of speakers seemed to be better than ever. At our annual association meeting we elected new board members and officers. Randy Albrecht stepped down as President and board member after serving valiantly in that position for the last year. Rodney Hogen was elected as our new president and we welcomed Sean Ballinger onto the board as a new member. All other board members and officers were reelected or remain in there term until next year. We also announced the winners of our People’s Choice wine competition. More on that later. One of the important aspects of our annual conference is the opportunity to meet and discuss issues face to face. This year there are two competing winery bills threading their way through the legislative process. One was introduced in the house and one in the senate. There are many passionate opinions on these bills and the future direction of our industry. We purposely scheduled multiple sessions for all of the members to talk openly with each other in order to share our points of view. This was very healthy for our organization and we have come out of this meeting stronger than ever. 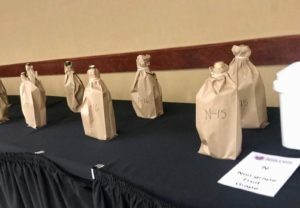 As there are two different bills and neither really reflect what will end up being the final bill standing after all negotiations have been completed, the North Dakota Grape and Wine Association has decided to stay neutral on these legislative bills at this time. I am delighted to announce the winners of the 2019 NDGWA People’s Choice Wine Competition. This year there were 45 entries in 5 different categories. 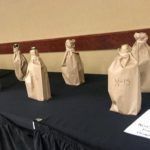 The commercial wines and the hobbyist wines were tasted blindly together and the top vote getters in each were awarded certificates. Every single entry received at least one vote! Each category also had a best of category for the overall top vote getter. It was nice to see that hobbyists were able to wine some of these! Every year we say the quality of the wines made in North Dakota improves and I didn’t think it could get better. But it did by leaps and bounds this year. The wines were truly outstanding. You can find the details of the award winners on the 2019 Competition web page. Thank you all for participating and if you didn’t get to make it this year, we look forward to welcoming you to our conference next year. How lucky we are in the FM area that we have so many craft breweries, but did you know that we also have two cider houses? Cottonwood Cider House is one of those cider houses and is just a short drive from Fargo outside of Ayr, North Dakota. While you can find their delicious ciders on tap in several Fargo venues, the Ayr cider house also gives an opportunity to get out of the town and see a unique area attraction. Today, we are going explore Cottonwood Cider House, the apple orchard behind it, and the people who operate it. 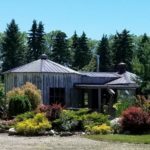 There are a few really unique things about Cottonwood Cider House that make it worth a taste and drive out to the Ayr location. A short walk from the cider house is Cottonwood Farm, which houses North Dakota’s largest commercial apple orchard and provides apples for the cider. Dan Heising and Stacy Nelson-Heising, the brains behind Cottonwood Cider House, planted their first apple trees in 2012 and now have over 2,000 trees growing at Cottonwood Farm. 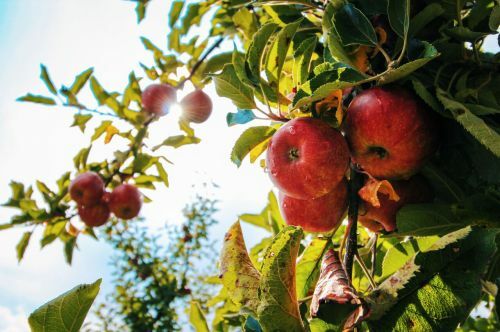 While we are a state that is not particularly known for our apples, Dan and Stacy have managed to plant 40 different apple varieties on the farm with the specific purpose of making craft cider. Cottonwood Cider House HistoryCottonwood Farm also has an interesting story that I think many North Dakotans can relate to. On the same plot of land where the apple orchard sits, Stacy’s great grandfather first worked the soil in the early 1900s. She is now the fourth generation to farm this land, but things have changed for them over the years. Originally, the farm was a grain farm like many others. Stacy’s father (Chuck Nelson) and grandfather (Norman Nelson) transitioned the farm from traditional farming techniques to become the county’s first certified organic farm. Stacy’s father helped Stacy and Dan carry on their family tradition by transitioning the farm to become an apple orchard and cidery. The cider is delicious and I think that Cottonwood Farm and the cider house have such a great story. A story that both honors North Dakota heritage and shows their ability to adapt in a way that works for them. I have a bit of a disclosure. I know Dan and Stacy. I have shared an interest in brewing with Dan for quite some time. Also, I keep honey bees at Cottonwood Farm. Beekeeping is only a hobby for me, but they were excited to have my bees out on the orchard. It has been a great pleasure to work in partnership with them. I can get a little bit of honey and be a part of helping my friends pollinate their trees. Oh, and I get to hang out at Cottonwood Cider House once a week or so. They have a wide variety of ciders. I have tasted sweet ciders, dry ciders, and some excellent ciders infused with other fruits. Last time I was out there, they were talking about planting a ridiculous number of rhubarb plants for next year. I am guessing rhubarb will be on the menu soon enough. While my wife and I tend to have different tastes in ciders, we both can find something we enjoy when we are at a Cottonwood Cider House tasting. Depending on availability, you can find them at various locations in Fargo including Front Street Tap Room, Blackbird Woodfire, JL Beers, Happy Harry’s (by the bomber), Wild Terra, and other places throughout the state. You can stop by the Red River Market this summer where they will be selling by the bottle and glass. Finally, they have a physical cider house at the working cidery that you can visit or schedule an event at. Cottonwood Cider House is a place where you can see all the going on’s of North Dakota’s first cidery and largest commercial apple orchard. They have a website http://cottonwoodciderhouse.com/, you can reach them at Facebook, or the old fashioned method of giving them call at (701) 866-9913. Cottonwood Cider House is a unique North Dakota product and destination. 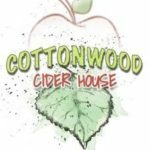 If cider is your thing or if you want to get out of town and see a unique offering to our area, I would recommend checking out Cottonwood Cider House. Dakota Sun Gardens & Winery walked away with top honors at the 2018 Indy International Wine Competition winning gold and double gold for their wines and being named Winery of the Year! Bruce and Marleen Gussiaas have been hosting guests and producing amazing North Dakota wines for almost a decade and are putting quality fruit wines on the international map. At the 2018 competition they received a double gold medal for their Crabapple Wine which also won Best of Class in their category. They also garnered gold medals for their Pear, Apricot and Haskap wines. But the feather in their cap is certainly being named Winery of the Year out of hundreds of wineries from across the country and around the globe. This is a testament to the consistent quality of wines they are making. NDGWA President, Randy Albrecht, talks to the American Ag Radio Network about the growth of ND Wines. Congratulations to Fluffy Fields Vineyard and Winery. They have done the Project of the Year award from the Economic Development Association of North Dakota. 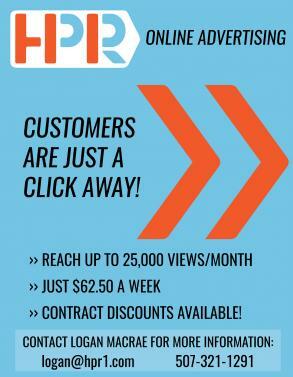 What a great recognition for all of their hard work getting their business off the ground. VALLEY CITY, N.D. (NewsDakota.com) – The Economic Development Association of North Dakota (EDND) presented its annual Economic Impact Awards for Project of the Year and Community Development on Oct. 19 during its fall conference in Valley City. The Project of the Year award recognizes a project that has made a significant contribution to the economic health of a community or region in terms of job creation, partnerships and overall economic impact. The award is presented in a large and small community division. The 2016 recipient of the large community division award is Fluffy Fields Vineyard and Winery, a project aided by Stark Development Corporation. The recipient of the small community division award is Bowman County Development Corporation’s project, the Bowman Gateway Industrial Park. The Community Development award recognizes an economic development project that has increased the quality of life. The 2016 recipient of this award is the Tioga Economic Development Corporation’s Drone Camp for Kids. “Economic developers around the state are dedicated to improving the economic health of North Dakota, and EDND is pleased to recognize the stand-out programs and projects of all our Impact Award winners,” says EDND President Connie Ova. EDND represents more than 80 state economic development organizations on the front line of economic development efforts throughout North Dakota. The primary purpose of the organization is to support the creation of new wealth and the diversification of North Dakota’s economy. Additional information is available at www.ednd.org. WDAY showcased 4e Winery in a segment on March 6. 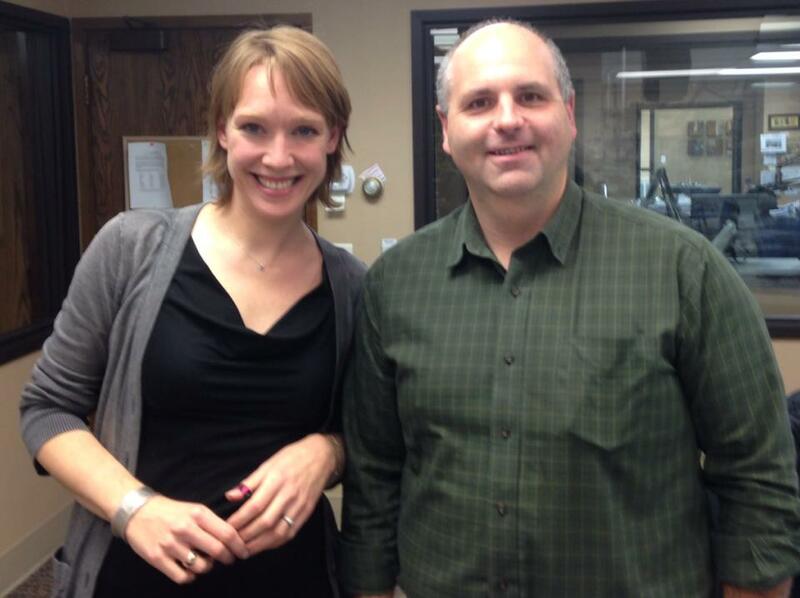 Fargo, ND (WDAY/WDAZ TV) – What started as a hobby… has now turned into much more. The second season of “4-E Winery” near Mapleton kicks off April 16th. Barely a mile off of Interstate-94, you’ll find this historic Bonanaza farm. “We get to welcome people to this wonderful little piece of the prairie,” said Lisa Cook. Lisa and Greg Cook bought the farm a few years back and after renovations and additions, the couple turned this old 20th century farmstead into a winery. Now it’s called the 4E winery to represent the four elements. Owners say they just want to get people back to their natural roots. 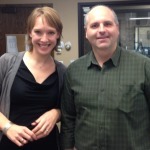 “What we need to do is educate people of North Dakota of its wines and how good they can be,” said Lisa. Lisa and Greg have been making home-brew wines for more than 20 years. Greg, who is a chemist at NDSU, says he has always been interested in how wines are made. “I realized early on that its more art than chemistry in the wine cause it’s a natural living beverage,” said Greg. 4e Winery uses all natural ingredients in their 14-different styles of wine. Some are hybrid grapes bred for cold climates, others are local berries and rhubarb. 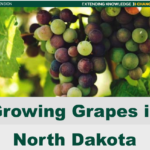 “Now it’s not going to be chardonnay, we can’t grow those or Merlot grapes, but we can grow grapes that grow really well here and they are going to have that taste of the North Dakota prairie,” said Lisa. Grapes are planted, picked, and then fermented for months. The wine is transferred from tank to tank throughout the winter, to remove unwanted sediments. Then, one of the final touches, adding any necessary sweetener. “Then it’s filtered and bottled, all by hand,” said Greg. The bottling will continue all throughout the summer, as some of the wines still need to finish fermenting. The wine can then be purchased through the 4e’s tasting room, which is open every Thursday through Sunday, starting on April 16th. “It’s more about the experience than it is necessarily the wine, you’re tasting what was grown and produced by hand right here,” said Greg. The winery also hosts special events like tours and bachelorette parties. A great article in the Dickinson Press this morning about Fluffy Fields Vineyard. By Andrew Haffner Today at 5:30 a.m.
Western North Dakota doesn’t come to mind as a wine-producing region, and with good reason. The state was the last in the U.S. to federally license a commercial winery, and opened its very first in 2002. More than a decade later, Fluffy Fields Vineyard — Dickinson’s first and only federally licensed commercial winery — could soon give visitors a taste of homegrown North Dakota wine. The winery is a brainchild of Dickinson couple Kevin and Deb Kinzel and is being constructed on their property near Sundance Coves, east of the city, with hopes of opening for business sometime in the late spring. Deb Kinzel said her family’s foray into serious winemaking began with a glass carboy — a jug used for fermenting small batches of wine — given to her husband. The family had already planted some grapes as part of their garden and had dabbled in fermentation, but Deb said that first carboy started a series of expansions that rapidly grew into a building. As the Kinzels delved deeper into their hobby, they invited friends and visitors to the farmers’ market they hosted on their property to taste the wines they were creating. Those initial tastings went well enough for the couple to consider selling their wares — which wasn’t possible to do legally without extensive permitting and official winery status. Deb said the options were simple. “Either I was going to be a bootlegger and end up in jail, or we were going to start a winery,” she said with a laugh. Kevin said the winery is set up with four 500-gallon fermenters and will soon have a chiller to control the temperature of the fermentation process. Kevin said he’s stocked with enough fruit and grape juice — much of the latter brought in from growers in Iowa, to begin with — to make about 3,000 to 3,500 gallons of wine in the first run. At five bottles per gallon, the winery could be flowing with as many as 17,500 bottles by the time it gets through its first season of fermentation. Despite that, Kevin, who has worked at Winn Construction for the past 26 years, said he enjoys driving around on a tractor through the grapes more than anything. “Seeing the grapes on the vine — between doing that and walking into the building — it’s still enough to make me step back and say, ‘Wow,’ sometimes,” he said. Moving forward, the Kinzels hope to make the business a family affair both in its staffing and clientele. 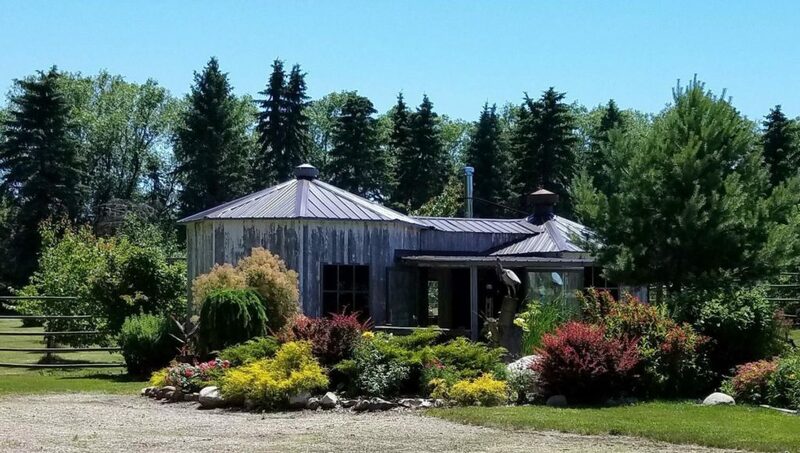 Deb plans to open the indoor and outdoor spaces at the winery for weddings, bridal and baby showers, and other larger gatherings in addition to regular tastings and open hours. Joining the Kinzels in running Fluffy Fields are the couple’s son, Kody and their daughter and son-in-law, Krista and Kenny Jessop. The Jessops will work on the office end of the winery and Kody, 25, and will serve as Fluffy Fields’ vinter, or wine maker, and oversee production. Kody said he studied the craft through online courses and spent two months working at Santa Maria Vineyard & Winery in Carroll, Iowa, to prepare himself for the role. So far, he said the experience, while unexpected, has been a good one. Kody said North Dakota’s wine-producing culture is “still young,” and while breeding programs from North Dakota State University and the University of Minnesota have produced some varieties of grape that can survive the region’s harsh winters, there’s still work to be done to develop and promote cold-climate viticulture, or grape production. At the same time, he said he saw his parents’ endeavor as well-positioned in a larger industry. Select your option below and click the buy now button. You can add more tickets to the order before you check out. 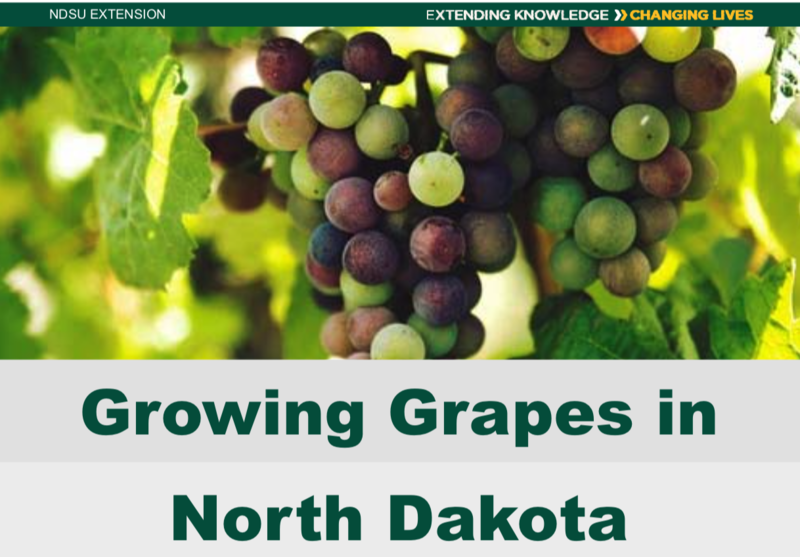 Curious about how grapes are grown, harvested, crushed, and fermented in North Dakota? Want to know more about pairing wines with food? Well, join the North Dakota Grape and Wine Association on Friday, October 16 for a culinary wine experience you won’t forget. 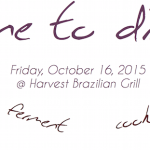 We have recruited the culinary talents of the chef of the Harvest Brazilian Grill in Mandan to prepare more than a dozen heavy appetizers to pair with North Dakota wines. You will learn about food pairing and have the opportunity to meet wine producers from the state. The results of the 2015 Finger Lakes International Wine Competition have been released. Among the award winners were several wines from our very own NDGWA affiliate wineries. This is a testament to the quality products being produced right here in North Dakota and Montana. Way to go! The past year of writing this column has been full of rewards for yours truly. From the first column on, I have received encouragement from readers, both locally and as far away as New York and California. The digital Forum reaches far and wide, well beyond our Upper Midwestern region. I am asked one question more than any other: “What are your favorite white and red wines?” I begin to rattle off the typical ones that I commonly favor: riesling, moscato and gewürztraminer for the whites, and merlot, cabernet sauvignon and carmenere for the reds, but then I stop and think for a moment. I’ve also tasted some great wines by our local wineries as well, like Pointe of View winery in Burlington, N.D., Dakota Sun Gardens and Winery in Carrington, N.D., and the tasty creations coming from Bear Creek Winery in south Fargo. Perhaps the best part of the past year of writing this column was the “discovery” on my part of just what all is going on at the Red Trails Vineyard in Buffalo, N.D. 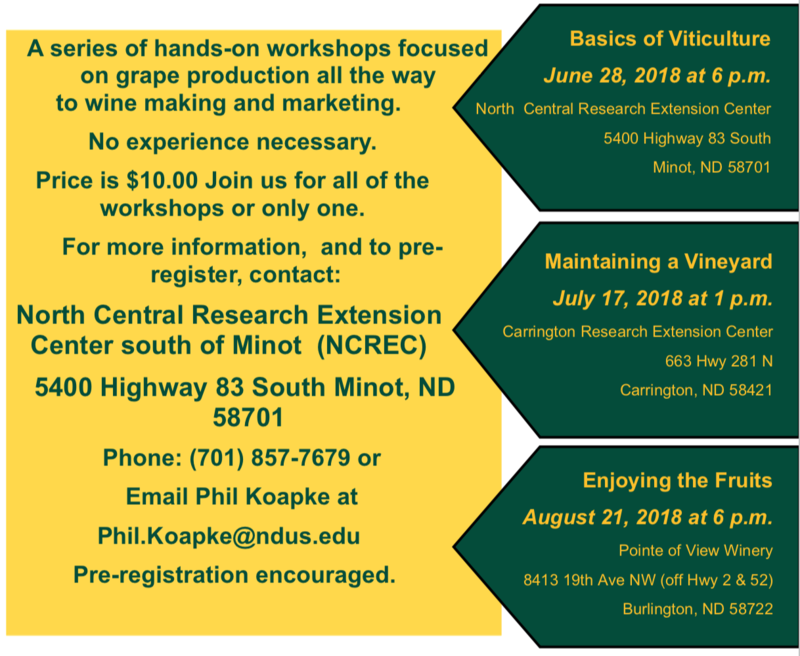 They have spring grape vine pruning for volunteers to become involved in, grape stomp parties in the fall and wine tastings galore, where some of the hybrid grape wines developed by North Dakota State University researchers can be tasted and evaluated. In addition, developing vineyards and wineries like 4Elements and Agassiz Shores, owned by Greg Cook and Mark Vining, respectively, have typically had some of their future wines available for sampling. Every one of the samples has an outstanding future for the North Dakota resident and tourist to enjoy. Several of the wineries across the state have some fruit wines and honey (mead) wines on the market for pleasurable consumption. Wolf Creek Winery in Coleharbor, N.D., offers fruit and berry wines, along with cold-hardy, North Dakota-grown grape wines to enjoy. Located on Lake Sakakawea, it gives one the “feel” of a California vineyard in sight of the ocean – a little imagination required of course – but nonetheless a beautiful location to visit and do some tasting. BearPaw winery, located just 20 minutes east of Bismarck, specializes in honey wines, which are sourced from the Turtle Mountain wildflowers and trees. There is much to enjoy wine-wise in North Dakota. As spring continues to encroach on winter’s fury, sit down and plan a route around our great state’s wineries. 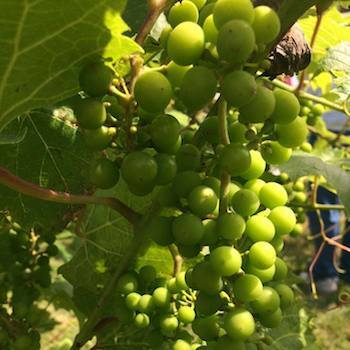 The North Dakota Tourism bureau and the North Dakota Grape Wine Association have information on their websites to help you plan and route a trip or two to these developing and fascinating wineries and vineyards this growing season. I hope you know a little more about wine after a year of weekly columns. I know I have. It is my hope to continue well into the future in the mutual education and pleasure we can gain from studying and understanding the World of Wine. Ron Smith, a retired NDSU Extension horticulturist, writes weekly about his love of wine and its history. Readers can reach him at tuftruck1@gmail.com. 4 Elements Winery owner Greg Cook talks with Dayne Del Val about his winery and the ND Wine industry on KFGO’s Mike McFeely show. You can select and change the number of reservations on the next screen. Curious about how grapes are grown? harvested? crushed? fermented? Want to know more about pairing wines with food? Looking for ideas to use unripe grapes? grape leaves? vine prunings? 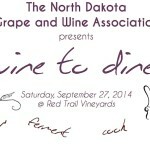 Well, join the North Dakota Grape and Wine Association on Saturday, September 27 and find out. At the Vine to Dine event, we will have informational sessions during the afternoon for you to learn about the wine process from the beginning on the vine, through crush and fermentation, to the final result – enjoying with food. We have recruited the culinary talents of Chef Ted Swiontek from Oven Door Catering to prepare a fantastic meal pairing local North Dakota wines with local foods. Information sessions will run from 2:00-5:00 pm with dinner following. This is an event you simply cannot miss. Fargo Forum columnist, Ron Smith, recently attended the tasting and dinner for new ND wine grape varietals held at Red Trail Vineyards. His write up was quite flattering. During the wine tasting at Red Trail Vineyard in Buffalo, N.D., several good wines were noted that the local consumer and passing tourist will want to procure and relish with their meals or as a standalone pleasure. Few area residents would dispute this past winter’s severity of low temperatures, and any marginally hardy plants pretty much met their doom as a result. Petite Pearl – a hybrid grape – has survived freezing winter temperatures as low as -36 degrees. Tom Plocher, a northern climate viticulturist and grape breeder, as well as a renowned author, worked for years developing this cold-hardy and disease-resistant wine grape. Being cold hardy is an important first attribute for our region of grape growing, but unless it is dependably productive and can make a good wine, it is of no use. The Petite Pearl grape has another quality that makes it attractive to wine viticulturists – it has a relatively low acid level, making it a good, standalone varietal wine that also serves as a valuable blending source. The wine is a dark red, garnet color, showing complexity in aroma and flavor. The fruit flavor comes through without the ‘pucker power’ of some other northern varietals, but with a rounded tannin flavor that gives the taster the desire to take another sip. Relatively speaking, Rod Bollinger is new to the winemaking industry, and yet he has found a way to make this hybrid wine a sure-fire, high-demand product. He plans on planting more vines of this variety because of the popularity of the few bottles he has made to date. While Bear Creek wines were the featured formal tastings, another notable wine came to my attention. It was a white produced by the 4 Elements (4e) Winery, known as a Brianna – another cold-hardy, good-tasting wine developed by the late Elmer Swenson in Minnesota – and has been successfully grown in the northern regions. The recent plantings at 4 Elements will not be productive for another 3 years, so put it at the top of your list to sample! Other wineries present at the Red Trails tasting were Agassiz Shores Vineyard and Orchard and Uncorked. With wineries like these getting established in eastern North Dakota, visitors and residents alike will have something to look forward to in the near future. 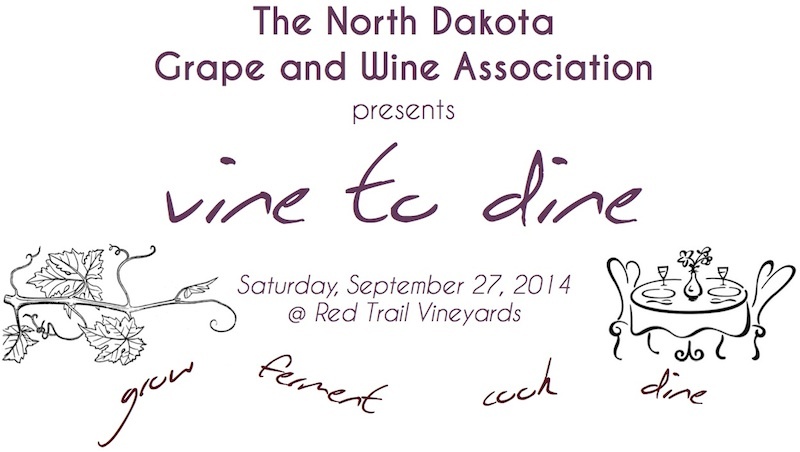 A final note: Mark September 27 on your calendar to attend the “Vine and Dine” festival at Red Trail Vineyard. For details, contact the vineyard at (701) 633-5392. KVLY channel 11 reports on wine from new grape varieties being tasted at Red Trail Vineyards. Also two new wineries will be opening in 2015 in the Red River Valley – 4 Elements Winery and Agazzis Shores (Rookery Rock Winery). Rodney Hogen from Red Trail Vineyards demonstrates how to prune his St. Croix vines. Kudos to local wineries who have won medals at the 2014 Mid-American Wine Competition. The competition was held July 11-13, 2014 in Ankeny, Iowa and features wine from the middle of the US. For the first time Montana wines were included in the competition and NDGWA member, Tongue River Winery won two medals. They received a Gold medal for their absolutely delicious La Crescent and a bronze medal for their sweet frontenac-based Warm Front. Also bringing in high honors with a bronze medal in the berry fruit wine category was the aronia wine from Dakota Sun Gardens. Congratulations to Bob, Marilyn, Bruce and Marleen! Ambassador Magazine has a fantastic article about Apple Creek Winery’s Bearpaw honey wines. Not only do they produce outstanding ND wines but donate their profits to charity. Read all about it . 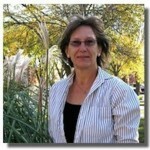 . .
Dr. Harlene Hatterman-Valenti, NDSU Professor in Plant Sciences and NDGWA Board Member, has been elected to the American Society for Enology and Viticulture-Eastern Section’s board of directors. Dr. Hatterman-Valenti is a specialist in high-value crops and oversees the grape germ plasm enhancement project at NDSU. She actively conducts research in the development of cold-hardy grapes suitable for North Dakota. Her expertise in vineyard management practices in the Northern Grapes Project and research interests are ideally suited for her new position at the ASEV.